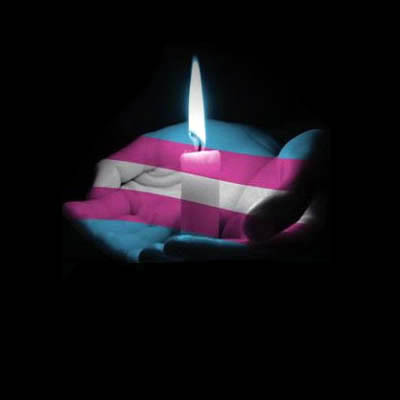 On Transgender Day of Remembrance we observed those who have been murdered as a result of transphobia. November 20th is an internationally oserved day to draw attention to the continual violence against our transgender community. In a new report since the start of 2018 at least 22 transgender people have been killed in the U.S. & 2017 were deadliest on record with at least 29 transgender people killed. Nearly nine in every 10 victims were transgender women & 45 percent of all domestic deaths occurred in the U.S. South. Jay Brown, Acting Senior Vice President, HRC Foundation stated, "At least 128 transgender people with the vast majority transgender women of color have been killed in the last five years. But most people can't even name one victim -- one human being who left behind family, friends & a future. We must do better. Solidarity means showing up, speaking out, saying their names & steadfastly working to change the realities that conspire to put transgender people at risk of violence. We can do better." Education is key & in this exclusive audio interview we talked with author & activist Brynn Tannehill about her new book “Everything You Ever Wanted To Know About Trans (But Were Afraid to Ask)” that really does tell you everything you need to know about transgender issues & serves as a valuable reference source to debunk many of the untruths circulating about our transgender community.